The average cost of memory care in Yuma is $3,200 per month. This is lower than the national median of $4,650. Caring.com has helped thousands of families find high-quality senior care. To speak with one of our Family Advisors about memory care options and costs in Yuma, call (855) 863-8283. Yuma, Arizona, is a thriving city of 95,502 that sits on the Colorado River. Nearly 15 percent of Yuma's population is over 65 and a portion of these seniors account for some of the 140,000 state residents that have Alzheimer’s disease. These seniors, and those with other types of dementia, may need residential memory care support as they age. The single memory care facility in Yuma is one of the many hundreds of facilities in Arizona classified as assisted living. Yuma is one of the sunniest places in the United States, with an average of 308 days of sunshine annually. It’s also one of the driest, with rainfall amounts that seldom top more than three inches each year. Summer highs exceed 100 degrees Fahrenheit, while winter lows seldom go below 40 degrees. Seniors susceptible to SAD (seasonal affective disorder) would have few symptoms in Yuma, given its abundant sunshine. All that heat and sun, combined with vehicle exhaust, creates summertime ozone problems in Yuma, which makes it hard for susceptible elderly populations to breathe. Since it’s so dry, dust and fine particles are also a problem. Arizona’s Department of Environmental Quality issues advisories for poor air quality to help seniors avoid outdoor activities. 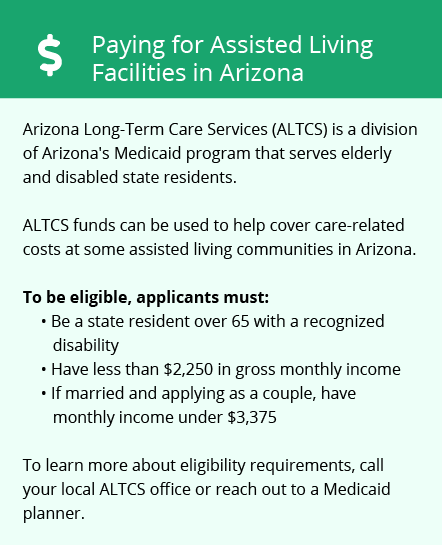 Arizona does not tax Social Security income, which leaves more money available for seniors in Yuma who need memory care. The state allows deductions for federal and state pension income, but it does tax income from 401(k) plans. The sales tax in Yuma stands at 8.412 percent. Yuma is home to world-class medical facilities, including those specializing in brain health and dementia care such as Yuma Regional Medical Center, in the event of medical emergencies or illness. Memory Care costs in Yuma start around $3,200 per month on average, while the nationwide average cost of memory care is $4,778 per month. It’s important to note that memory care rates in Yuma and the surrounding suburbs can vary widely based on factors such as location, the level of care needed, apartment size and the types of amenities offered at each community. To see a list of free memory care resources in Yuma, please visit our Assisted Living in Arizona page. 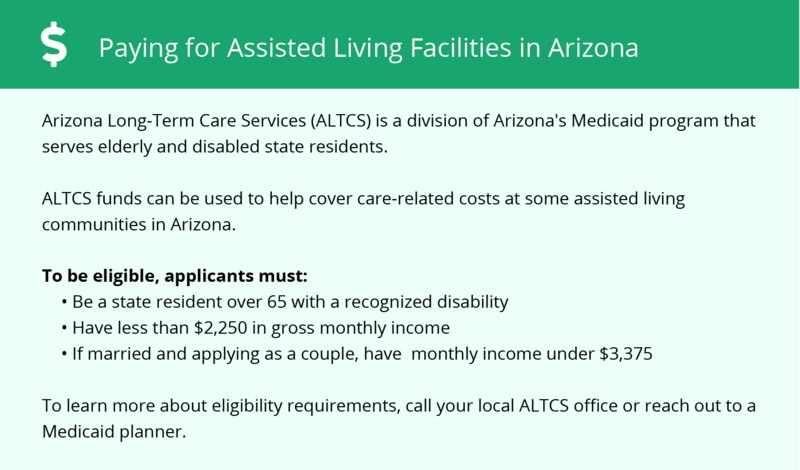 Yuma-area assisted living communities must adhere to the comprehensive set of state laws and regulations that all assisted living communities in Arizona are required to follow. Visit our Memory Care in Arizona page for more information about these laws.